Tens of thousands of New Yorkers are moving into newer rent-stabilized apartments. Many are paying ‘preferential’ rents that tenant advocates say invite abuse by landlords. Update, Nov. 11, 2015: This story has been updated to include additional questions and answers. Q. Is there a limit on rent increases for my apartment? A. You can punch your address into the search page maintained by the state’s Division of Housing and Community Renewal (DHCR). Another option is AmIRentStabilized.com, which tracks buildings constructed before 1974 with six or more units. Generally, rent increases are limited on apartments in these buildings until the monthly rent exceeds $2,700. Lower caps can apply in these buildings, depending on when a tenant moved in. You can also find out your apartment’s status by getting the official rent history — see how below. Q. What is “rent stabilization”? A. Under rent stabilization, a body called the Rent Guidelines Board sets allowable rent increases for an estimated 1 million apartments in New York City. The board, created in 1969, is appointed by the mayor. In June, for the first time in its history, the board voted a 0 percent increase. The freeze is for one-year leases beginning after Oct. 1; two-year leases can rise 2 percent, also a historic low. Q. You wrote about “preferential” and “legal” rents. What’s the difference? A. Rent limits apply to the “legal” rent listed on your lease. Landlords may charge less than that — a “preferential” rent. Leases often list both legal and preferential rents. Landlords may raise a preferential rent by more than the Rent Guidelines Board limits — except that for original tenants in a rent-stabilized building, the legal rent is the initial rent paid, even if it’s called “preferential.” According to the Metropolitan Council on Housing, a tenant rights group, landlords sometimes use “preferential” rents to hide fraudulently high “legal” rents. The DHCR, which oversees rent stabilization, doesn’t verify the accuracy or legality of “legal” rents that landlords register. 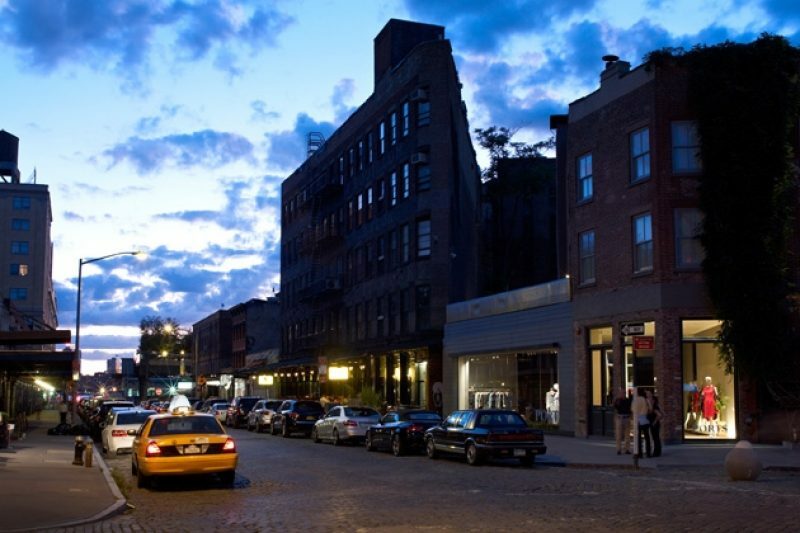 Q: How do I know if my lease is rent-stabilized? A. If your landlord is following the law, your lease should have a rider that looks like this. Q: I live in a newer apartment building and my rent is over $2,700 a month. Does that mean my apartment is not rent-stabilized? A. No, not necessarily — and this is a common confusion. Buildings built after 1974 are also frequently subject to rent stabilization if they are getting property tax breaks from the city known as J51 or 421A. These tax breaks, which can last for decades, require landlords to subject ALL their units to rent stabilization for the duration of the tax breaks, no matter what the monthly rent is. So you could be paying $2,700 or more in rent and still be entitled to all the rights of a stabilized lease. Q: Can I check to see if my building is receiving one of these tax breaks? A. You can look up property tax benefits on the New York City Department of Finance’s website by typing in your address here. If you see a J51 or 421A property tax benefit listed there, that means — by law — you are entitled to a stabilized lease from your landlord. If you believe you are entitled a stabilized lease but are not getting one, you can file an overcharge complaint using this form. Do that here. Other complaint forms are available here. Q: What’s a “vacancy allowance”? How does that affect me? A. When a tenant leaves an apartment, landlords have the right to raise the legal rent by up to 20 percent. That’s true even if the vacancy simply involves adding a new roommate to the lease. New York lawmakers scaled down the increase in June, but it it’s still sizeable. Q: How can I learn my apartment’s rent history? A. You are entitled to a copy from DHCR. Landlords must report legal and preferential rent to the state annually. The rent history lists all the rents paid on your apartment by you and previous tenants. It will also indicate whether your apartment was registered for rent stabilization by indicating “RS” next to the annual rent listing. Follow the directions on AmIRentStabilized.com to request your copy or get it directly from the state by following the directions listed here. Q: So I checked. I am in a 421A or J51 building and I have a stabilized lease, but my rent is still going up by more than the Rent Guidelines Board allows. What should I do? A. That could happen because vacancy allowances pushed up the legal rent on your apartment to high levels. But your landlord could also be skirting the rent stabilization laws. You need to investigate further to be sure: Get a copy of your rent history to see if there’s a big gap between the initial legal rent and actual rents paid and contact a lawyer to see if subsequent Rent Guidelines Board increases were correctly applied. Q: If I need help, what do I do? A. Groups such as Tenants & Neighbors and the Metropolitan Council on Housing may be able to help. Others like CASA serve specific neighborhoods. Here is a comprehensive list of tenant organizations. A: If you think your landlord is not providing you a stabilized lease when they should, or that they’re raising rents by more than they should, fill out our confidential survey. A: Apartments in buildings built before 1974 with six or more units are stabilized until rent reaches $2,700 per month and they are vacated. Once that happens, then they can be deregulated. 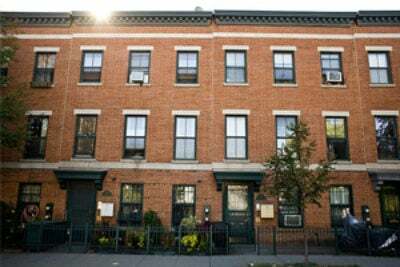 If the unit is not vacant, the rent reaches $2,700 per month and tenants' income exceeds $200,000 for two years in row, the landlord can apply to take the apartment out of rent stabilization. These thresholds do not apply to apartments in buildings that get tax breaks known as J51 or 421-a, which are stabilized for duration of the tax benefits, no matter what the rent. See our story for a lookup tool that tells you if the breaks apply to your building or use this website for more info. Q: There is no fire escape ladder on my fire escape making it impossible to use in case of emergency. And the shower in my apartment is in its own room without ventilation and black mold growing. How do I address these problems, and can I have any of my rent reduced for these issues? A: Call 311 to complaint about the mold and call the N.Y.C. Department of Buildings to complain about the fire escape. If your landlord is in violation of the law, he or she will be forced to correct the conditions and cited for a violation and a fine. Q: If the management company does not send a lease renewal to a tenant but continues to charge the tenant rent and the tenant continues to pay the rent, ‎can the tenant be evicted without the offer of a lease renewal of justifiable cause? A: For tenants who live in unregulated apartment buildings, after the lease expires, they become month-to-month tenants and the landlord can seek eviction. But tenants who live in rent-stabilized apartments have a right to be offered renewal leases and protection against arbitrary eviction. So a landlord's failure to provide a renewal lease is no reason for eviction, and tenants may file a complaint with DHCR using this form. The landlord cannot charge you a rent increase until he or she issues you a proper renewal lease. A: Anyone can sue anyone for anything – it doesn't mean they'll win. But in this case, the answer would most likely be 'no' because if the management company collects rent on the landlord's behalf and the tenant is paying on time, landlord has no legitimate grounds to complain. A: Usually a landlord can only collect legal fees if there is a provision in the tenant's lease entitling them to collect and they prevail in court. But the provision is a two-way street: If the tenant wins, then the landlord has to pay their legal fees. More information about legal fees is available on the Tenant.net website, which has a section devoted to this topic. And remember: Legal fees can only be imposed by a judge. So just because your landlord says you owe legal fees doesn't mean you do. A: The burden of proof for overcharges is high, the period for claims is short – four years – and DHCR doesn't actively monitor its rent registration data for overcharges. This is one reason why tenant groups have complained about weak enforcement leading to widespread rent fraud. It is also why New York created a Tenant Protection Unit at DHCR in 2012. You can also contact them for help, but it's no guarantee that your complaint will be resolved more quickly. A: Rent histories are exempt from disclosure under New York's Freedom of Information Law —except for tenants and landlords, who can get their own data. The city also has access to the data but, as we've reported, the government agencies in charge seldom coordinate their efforts. As a result, there is very weak, reactive enforcement of rent laws and no proactive monitoring of the data for fraud. See an example of a rent history here, with a disclaimer from DHCR that explains the agency's lack of monitoring. A: New York City law requires landlords to provide tenants with heat during the colder months of the year. Additionally, if you live in a rent-stabilized apartment building, your landlord is not allowed to pass on the cost of heat to you. Q: What other resources would you recommend for tenants to learn about their rights? A: The website Tenants.net runs a forum where tenants can ask questions. A searchable archive of the discussions is available here.